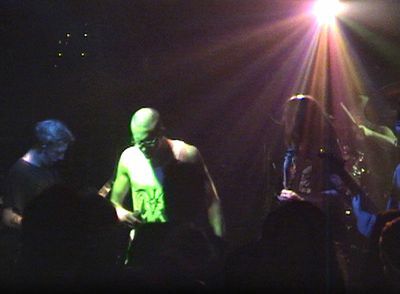 Backyard Burial began as a death/doom metal band in 1998. Backyard Burial played their farewell/tribute show on August 26th, 2011. All of the previous members of the band joined them on stage to play their respective parts from over a decade, and to pay tribute to their late vocalist. The gig was at San Francisco Bath House in Wellington.